Based on the financial statements for the previous fiscal year Spačva d.d. was awarded with gold creditworhiness excellence. 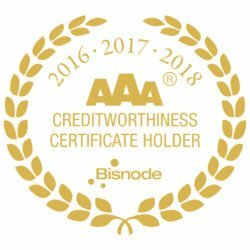 The internationally recognized rating of business excellence represents the above-average creditworthiness value of the business entity. This is also the safety for our customers in the current business year.